Our sympathies to the Weber family, who lost Ernie earlier this month. 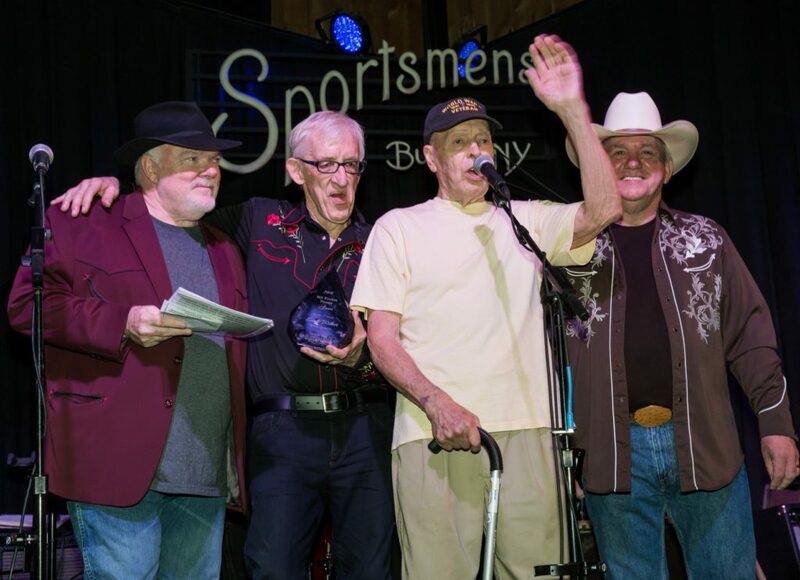 He was the SAM Foundation’s Bill Kirchen Pioneer Award recipient in 2016, recognizing a long career playing alongside his brothers and other family members in one of the region’s leading country and bluegrass groups. Ernie died Feb. 1 at age 91. A World War II veteran, he was a Teamster truck driver for 40 years. He started playing music with his brothers Walt and Fritz at age 7. The Weber Family Band was inducted into the Buffalo Music Hall of Fame in 1999. His death notice in The Buffalo News noted that one of his greatest joys was opening for bluegrass legends the Osborne Brothers. His remembrance mass will be celebrated on Thursday, Feb. 14, at St. Vincent De Paul Church in Springbrook. His family is planning a musical celebration at 2 p.m. on Feb. 24 (which wold have been his 92nd birthday) at Ernie Weber’s Beef ‘n’ Ale at 3167 South Park Ave. in Lackawanna.